My Appointment | Nicoles Nail Studio | Book appointments online hassle free. 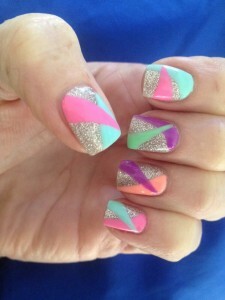 Nicole's Nail Studio specializes in nail treatments using gel, gelish and dip acrylic. The qualified technicians are able to create miniature works of art on clients' nails or simply do traditional styles. The colourful salon prides itself on being able to satisfy any client due to it's vast range of techniques and products. It is also home to a full waxing menu as well as semi-permanent lash applications. Located in the heart of bedfordview, this salon provides a safe haven for clients to take time out of their day to relax and be pampered. Please note tat appointments not cancelled within 24 hours will incur a 50% cancellation fee.